(Natural News) Aside from being known pollinators of food crops, bees also provide us with beeswax, honey, and propolis. Even bee venom has life-saving properties. But did you know that a certain honey bee secretion called royal jelly also offers a lot of health benefits? A recently published study examined the healing effects of royal jelly in female patients diagnosed with type-2 diabetes. For the study, the scientists looked into the health benefits of royal jelly as both an antioxidant and blood sugar lowering agent. These reported benefits were documented earlier in pre-clinical research. The researchers observed 50 female subjects with type-2 diabetes. The participants were divided into two groups of 25 women each. The two groups were randomly given either a 1,000 milligram (mg) royal jelly soft gel supplement or a placebo for eight weeks. The women’s blood sugar control indices, antioxidant, and oxidative stress factors were measured before and after the intervention. The results revealed that following royal jelly supplementation, the participants’ mean fasting blood glucose went down significantly. Royal jelly supplementation also caused a notable reduction in the mean serum glycosylated hemoglobin levels along with a significant increase in the mean insulin concentration. The authors of the study explained that royal jelly’s potency when it comes to reducing fasting blood sugar (FBG) was “remarkable.” The researchers concluded that supplementation with royal jelly could benefit individuals with diabetes. 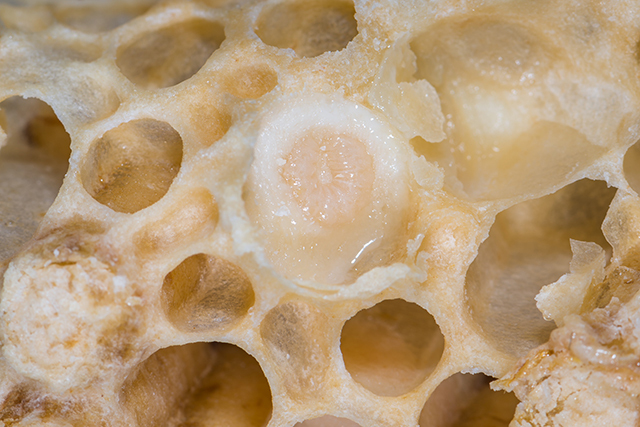 The study authors also discovered that royal jelly had an insulin-like property. However, they were unable to determine this because of “the stimulation of new insulin production by the beta cells in the pancreases of the test subjects,” along with the insulin-like component in royal jelly. The evidence gleaned from both human and animal studies implies that royal jelly has potential as a natural alternative for mitigating the symptoms of type-2 diabetes. Apples — Simply eating an apple daily will help lower bad cholesterol by 40 percent. Eating apples can also lower the risk of developing type-2 diabetes. Cranberries — Cranberries are rich in phytonutrients. One phytonutrient called anthocyanin is particularly good for diabetics. Cranberries also contain antioxidants that lower cholesterol and blood pressure. Dairy — Cheese, milk, and yogurt contains calcium, magnesium, and vitamin D that can make the body more sensitive to insulin. Kale — Leafy greens like kale are rich in nutrients like magnesium and vitamin K, and they are linked to better blood sugar control. Quinoa — Quinoa contains all nine of the essential amino acids: histidine, isoleucine, leucine, lysine, methionine, phenylalanine, threonine, tryptophan, and valine. It can also help avert blood sugar spikes. Red onions — Red onions contain antioxidants and they are also high in fiber, folate, and potassium, which are good for the heart. You can learn more about diabetes and natural ways to prevent it or manage its symptoms at DiabetesScienceNews.com.